©2016 Mercedes-Benz Canada Inc. 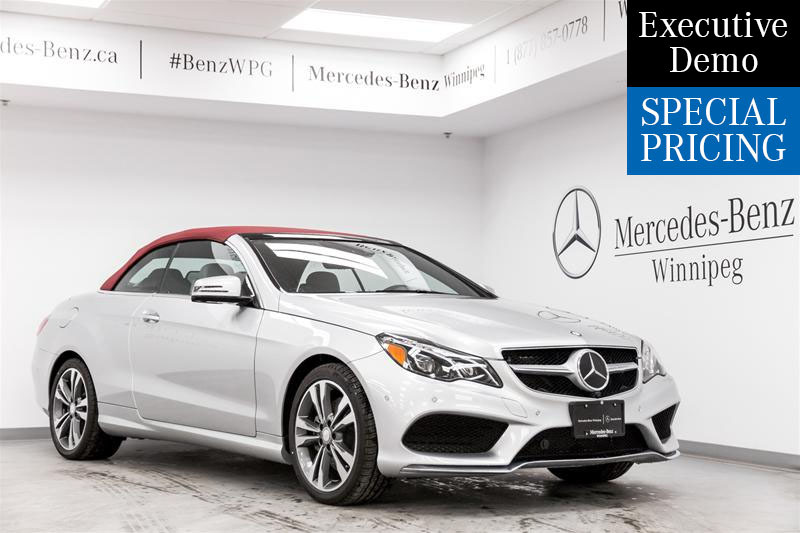 Lease and finance offers for the 2016 E400 Cabriolet available only through Mercedes-Benz Financial Services on approved credit. Lease APR of 2.9% applies up to 45 months. Finance APR of 0.9% applies up to 60 months. Price includes Admin, Freight, PDI, & AC Tax fees. Dealer may sell for less. While quantities last. Vehicle license, insurance, registration, and taxes are extra. Offers may change without notice and cannot be combined with offers. See an Mercedes-Benz Winnipeg for details or call Mercedes-Benz Winnipeg at 204.667.2467. Offers end October 24, 2016.